This is a quick and dirty tutorial to show the process of using darkFunction with Orx and why it's useful. 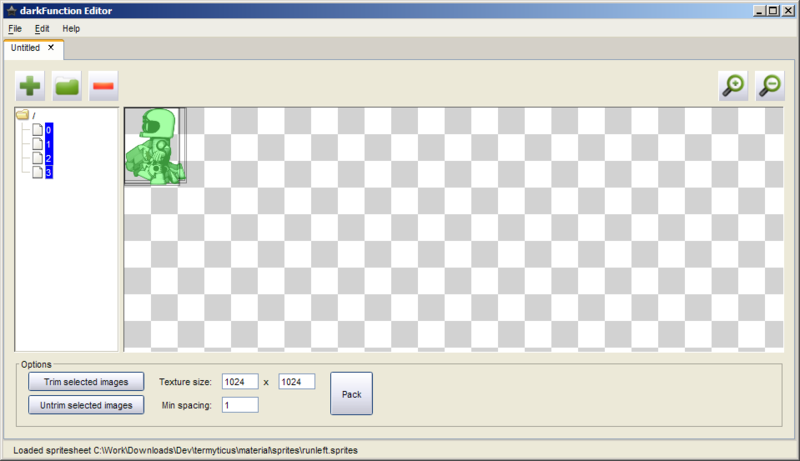 The darkFunction Editor is a free alternative to TexturePacker. 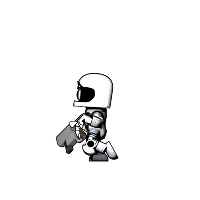 For this example, I have four image files fresh out of my animation program which I want to combine into a run sprite sheet. The alpha transparent surrounding areas are larger than the sprites themselves. 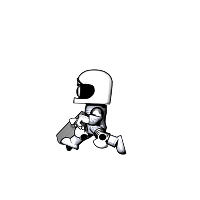 In the above image, you can see that the images start stacked on top of each other and the image is larger than the sprite due to the transparent border. Select all images, then click “Trim selected images”. 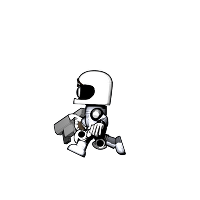 The surrounding unused transparency around the sprites is removed. 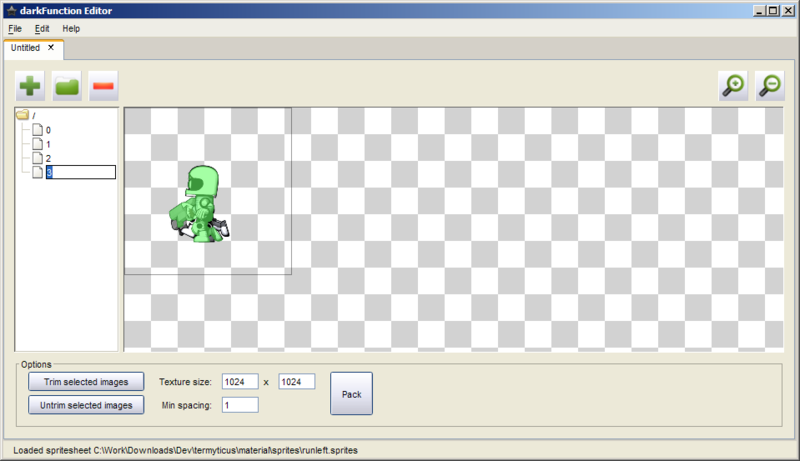 Next, estimate the sprite sheet size you need by changing the width and height values and pressing enter. The canvas will resize. And this is the result. Nicely packed images. You might need to adjust the canvas size a few times and repeat the packing until eveything is right. Then you can save the final .PNG and .sprite file with File / Save As. 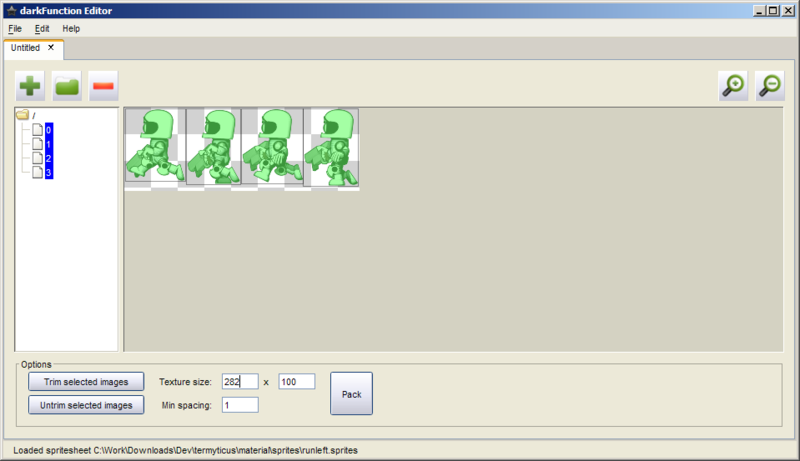 Thankfully, the editor will reload these .sprite files for refining if required. To convert this quickly to something you can use in orx, fire up the converter. Choose either convert direct to the clipboard or to an ini file fragment. And now you can cut and paste into your orx config.